Smith Residence — Isaman design, Inc. 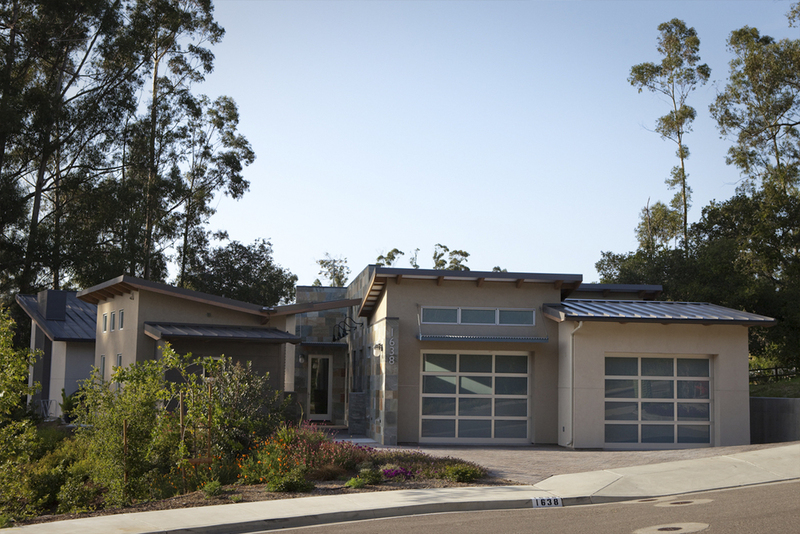 Located in Bowden Rach, a desirable neighborhood near Downtown San Luis Obispo, The Smith residence represents a fusion of styles and a unique program. The clients came with the request for a modestly sized living space and an oversized garage/workshop big enough to house the activities for all of their hobbies. The clients’ pastimes include welding, furniture making, and working on cars and motorcycles. The design solution is a 2600 SF residence and 1200 SF garage. Architecturally, the contemporary saw tooth and butterfly rooflines paired with traditional detailing and materials provided the clients with the unique look they desired. On the exterior, the building is clad in smooth trowel stucco, corrugated metal and slate tile. 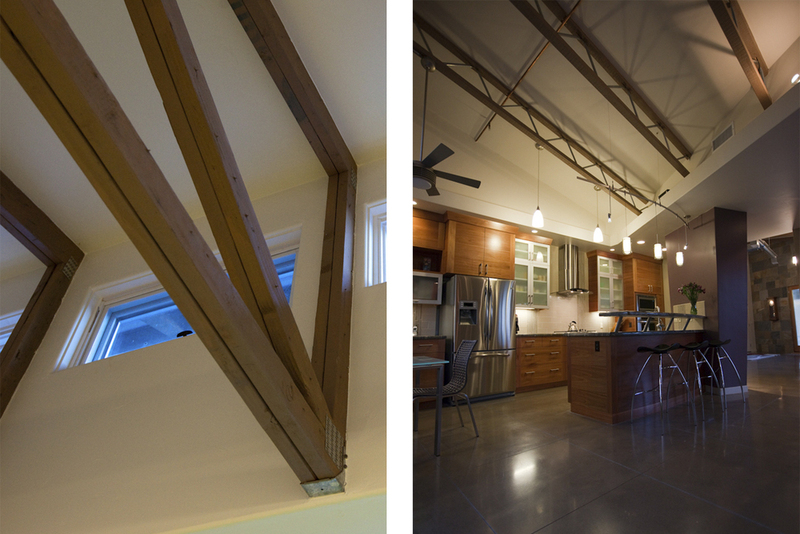 On the interior, stained concrete floors, exposed structure and custom eucalyptus cabinetry and casework provide for a unique blend of industrial and warm traditional.